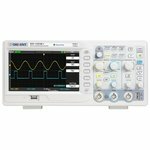 Desktop 2-channel phosphor digital oscilloscope with 200 MHz bandwidth, 1 GSa/s real-time sample rate, 14 MB memory, 7.0" display and up to 400,000 waveforms/sec capture rate. 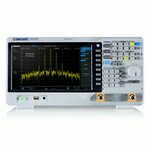 200 MHz bandwidth model of the SHS800 series of devices, with 2 channels and three main functions such as oscilloscope, multimeter and waveform recorder. 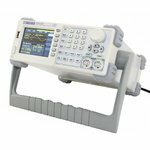 SSA3000X series spectrum analyzer with a frequency range from 9 kHz up to 2.1 GHz. 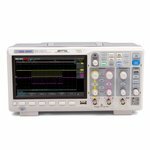 10.1-inch WVGA Display. 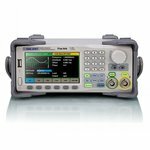 25 MHz function/arbitrary waveform generator for SIGLENT SDS2072X, SDS2074X, SDS2102X, SDS2104X, SDS2202X, SDS2204X, SDS2302X, SDS2304X digital oscilloscopes. 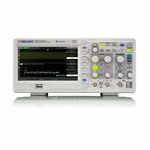 Desktop 2-channel phosphor digital oscilloscope with 200 MHz bandwidth, 1 GSa/s real-time sample rate, 14 MB memory, 8.0" display and up to 60,000 waveforms/sec capture rate. 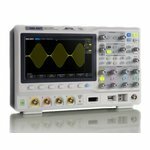 2-channel digital oscilloscope with 50 MHz bandwidth, 500 MSa/s real-time sample rate, and 50 GSa/s equivalent sample rate, 32 K memory, LAN interface. 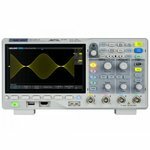 Dual-channel desktop digital oscilloscope with 200 MHz bandwidth, 2 GSa/s real-time sample rate (single channel), 50 GSa/s equivalent sample rate, 24K memory. 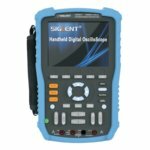 2-channel digital oscilloscope with 70 MHz bandwidth, 1 GSa/s real-time sample rate, and 50 GSa/s equivalent sample rate, 2 M memory, LAN interface. 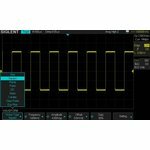 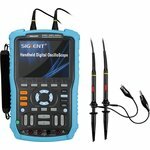 2-channel digital oscilloscope with 100 MHz bandwidth, 1 GSa/s real-time sample rate, and 50 GSa/s equivalent sample rate, 2 M memory, LAN interface. 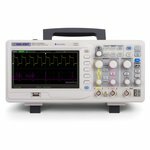 Desktop 2-channel phosphor digital oscilloscope with 100 MHz bandwidth, 1 GSa/s real-time sample rate, 14 MB memory, 8.0" display and up to 60,000 waveforms/sec capture rate. 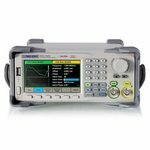 Desktop 4-channel phosphor digital oscilloscope with 300 MHz bandwidth, 2 GSa/s real-time sample rate, 140 MB memory, 8.0" display and up to 60,000 waveforms/sec capture rate. 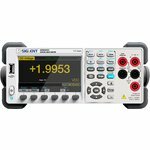 Measuring AC/DC voltage, AC/DC current, capacitance, frequency, period, temperature, connectivity test, diode test. 4.3-inch TFT color LCD. 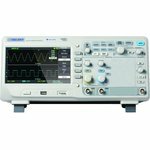 100 MHz bandwidth model of the SHS800 series of devices, with 2 channels and three main functions such as oscilloscope, multimeter and waveform recorder. 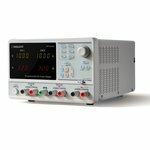 High-precision programmable linear DC power supply. 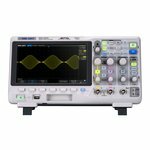 4-channel phosphor oscilloscope with 100 MHz bandwidth, 1 GSa/s real-time sample rate, 14 MB memory, 7.0" display and up to 400,000 waveforms/sec capture rate. 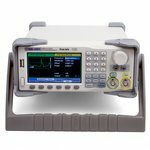 60 MHz bandwidth model of the SHS800 series of devices, with 2 channels and three main functions such as oscilloscope, multimeter and waveform recorder.